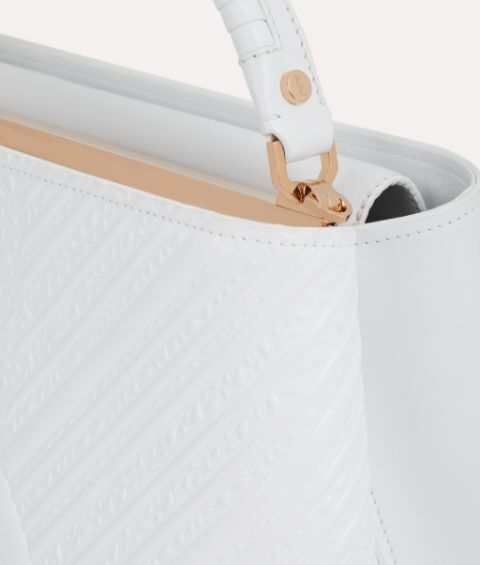 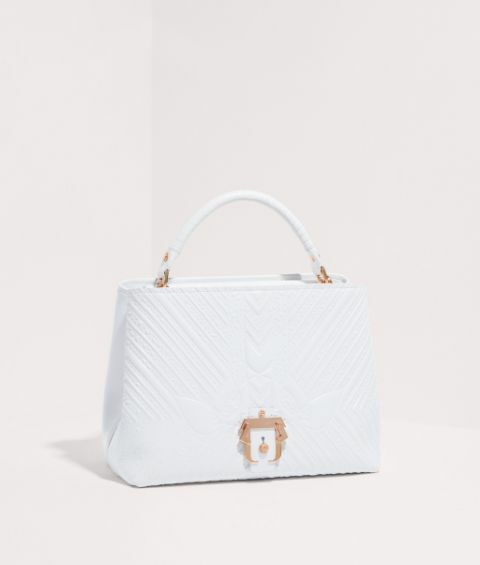 The impeccably crafted Mae bag combines elegance with minimalism, thanks to its all-white classic design that's simply adorned with embossed petals. 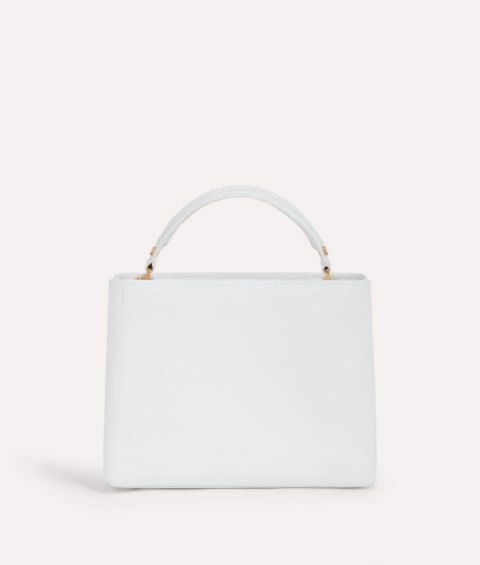 This structured style is roomy enough for all your daily essentials, while the detachable shoulder strap and whipstitched top handle ensures it works for both day and evening plans. 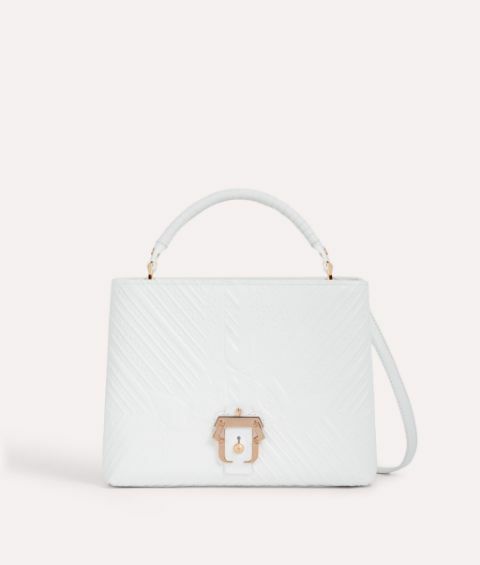 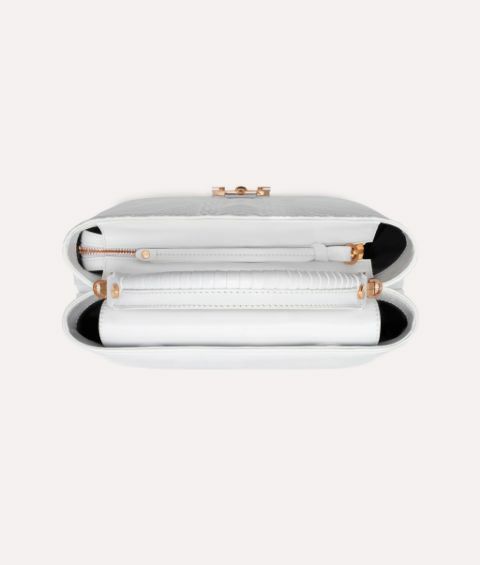 The polished Paula Cademartori buckle at the front is a sleek finisher.